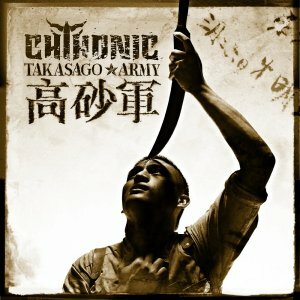 CD Review: Chthonic, "Takasago Army"
Dave Steed reviews the best Taiwanese metal record that you’ve ever heard! Quick, name a Taiwanese metal band popular in the U.S. Actually, name any Taiwanese metal band. What? You don’t know Flesh Juicer or Intestinal Pancakes? Taiwanese metal is a rare thing and seeing it in the U.S. is almost unheard of. So when I was told that Spinefarm was releasing the latest album from ChthoniC (or 閃靈 Shan Ling in their homeland), I just knew it had to be special. I mean, why bother marketing an Asian metal record in the United States if it ain’t spectacular? It’s rare that any type of Asian music catches on in here because let’s face it, it just doesn’t translate well. And, since you’re reading this, you’ve probably already gleaned from the above paragraph that Takasago Army is pretty damn fantastic. ChthoniC has never really been my cup of tea as a black metal band. But the new album sees them expanding into a new direction. While the music still has black metal roots, it’s more of a symphonic or melodic black metal sound. Most of the symphonic moments reflect traditional Taiwanese sounds (at least I assume, as my knowledge of traditional Asian music comes from watching the Rush Hour franchise and all-you-can-eat sushi at Asia Panda) and the record is produced so well that all rawness that is typically associated with black metal is gone. What you get from them though, is a fantastic mix of dark, melodic riffs, lyrics in English (with some Taiwanese thrown in) and a very unique sound thanks to their culture being reflected in the music. Would it be unique in Taiwan? Can’t really answer that one, but it sounds like nothing the U.S. audience should really be familiar with. Traditional black metal fans might take exception with the polished nature of the disc, but if you like symphonic metal, power metal or just simply want something to rip your face off, Takasago Army should be in your rotation for a long, long time. My knowledge of Asian metal is limited to bands like Boris, Dir En Grey and Wormrot, so I’m no expert, but if this isn’t the best metal disc to be imported from that continent then I need to know what I’m missing out on. This should certainly challenge all competition for metal album of the year.